Sam and I had a rare and awesome chance to slow down and enjoy some amazing grub at Sidecar, a restaurant and lounge in San Luis Obispo, CA. It is a fantastic joint with a hipster vibe…and the food is ridiculous! So delicious and inventive. I mean, have you ever gone to a restaurant just because you were totally craving their brussel sprouts? Random, right? But, they are sooooo good, seriously crave-worthy. Well, the other night, I decided to take a stab at recreating their magic in my own kitchen. So whether you are familiar with this awesome dish and want a copycat recipe, or whether you are just searching for another crazy-good veggie side dish, here ‘ya go! 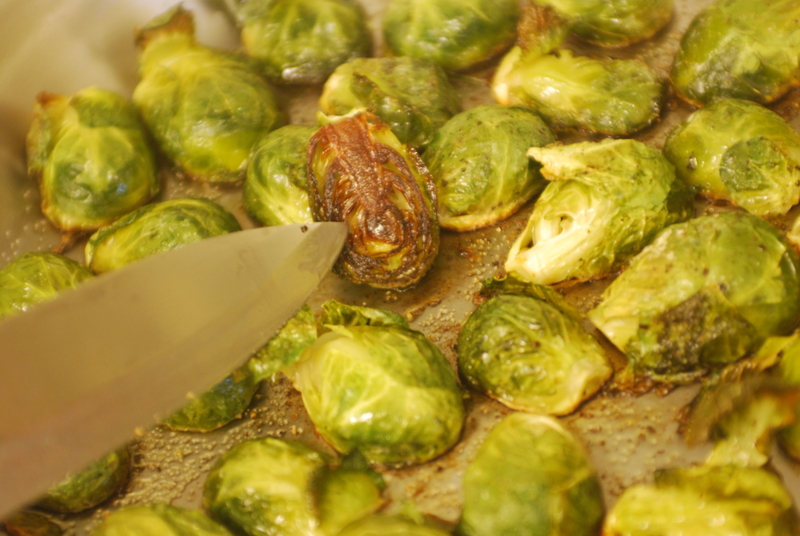 First, wash a bunch of brussel sprouts and then halve them length-wise. I put mine in a large, oven-safe pan with olive oil, salt and pepper. Bake them at 400* for 12-15 minutes….they will caramelize and have an incredible buttery texture. Now, time to plate them with all the frills. 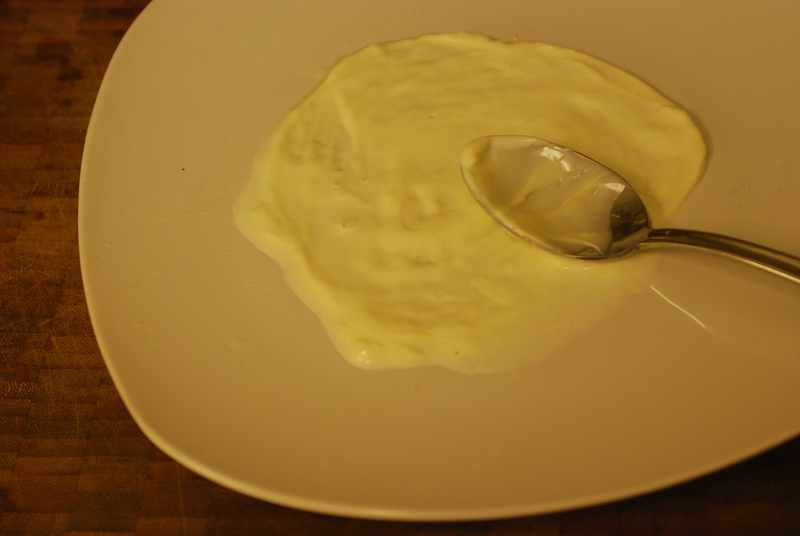 I started with a thin layer of aioli (I just used my easy go-to version of mixing mayo, lemon juice and fresh minced garlic…it’s a cinch!). Then I layered on the roasted brussel sprouts and topped them with bleu cheese and a balsamic glaze (just balsamic vinegar cooked down to a syrup….I make sure I always have some of this awesome condiment in the fridge at all times…you can make your own or purchase it as a glaze). Ridiculous, right? Oh man, these are soooo good! Unfortunately for Sean, he got home late from work and I had already eaten over have of these beauties for dinner…the good news is that I did share some and he raved. Next time, I promised, he gets the lion’s share. Honestly, I think this dish could be a main dish for him…they stand up! 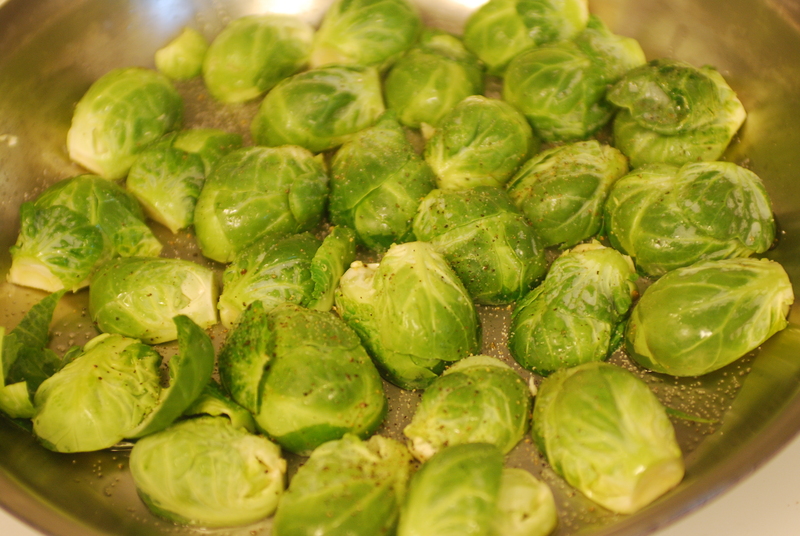 Toss the brussel sprouts with the olive oil, salt and pepper. Place in an oven safe pan/skillet, cut side down. Roast at 400* for 12-15 minutes, until the cut side is caramelized nicely. While they are roasting, mix the mayo, lemon juice and garlic to make a quickie aioli. 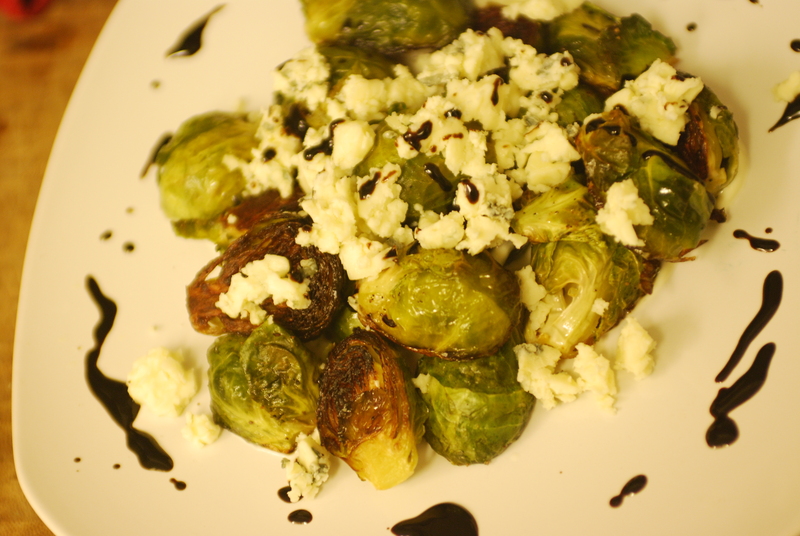 When the brussel sprouts are cooked, spread a thin layer of aioli on a plate, top with brussel sprouts and garnish with bleu cheese and balsamic glaze. These are excellent served hot…all buttery and melty, yum!